Cut salami into forty 1/2-inch pieces. Cut cheese into five 1/2-inch slices; cut each slice into eight 1/2-inch cubes. Cut pickles into forty 1/2-inch pieces. 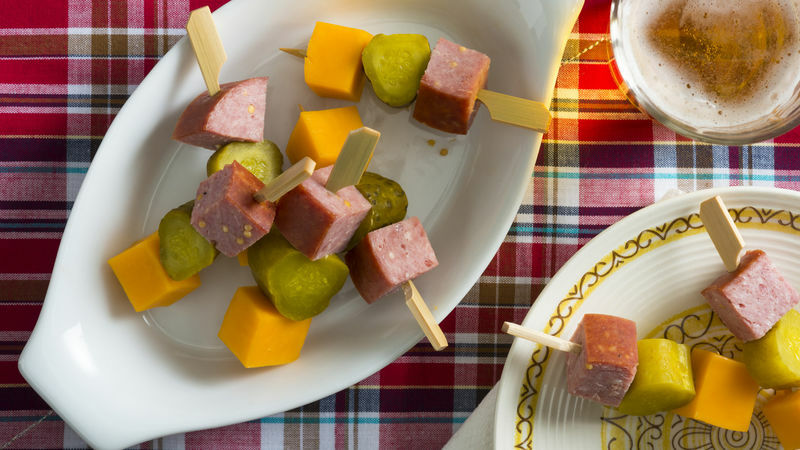 For each kabob, thread 1 salami piece, 1 pickle piece (with cut side of pickle facing out) and 1 cheese cube on toothpick. For a fun presentation, insert the kabobs into a Gouda cheese round.